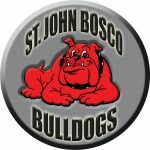 St. John Bosco September Newsletter 2018 has been added to the school website. Please go to Parents – Newsletters. All newsletters will be emailed to Parents/Guardians on a monthly basis.